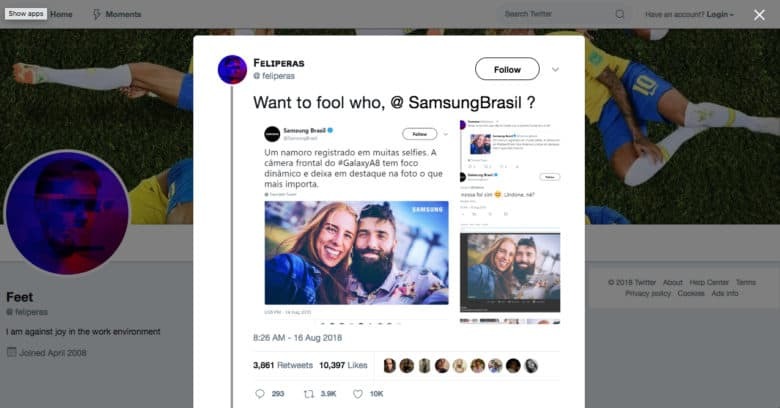 Samsung Brazil said it accidentally used stock photos when trying to show off on Twitter the camera of the Galaxy A8. When Apple wants to show off the camera quality of its latest iPhone, it mines social media for user photos by searching the hashtag “Shot on iPhone.” Apple then has plenty of actual iPhone images it then licenses for advertising. But when Samsung tried to tout the camera of the Galaxy A8 in a recent Twitter campaign, it used stock photos most likely shot with DSLR cameras. An observant Twitter user in Brazil presented the evidence. He tweeted screenshots of Samsung Brazil tweets alongside the same photos found in the online archive for Getty Images. 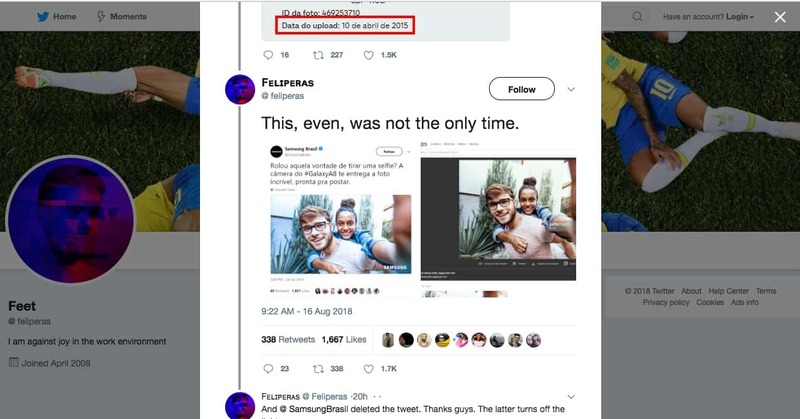 Samsung Brazil pulled the tweets and even offered an explanation to the whistleblower, according to a story posted on the website, DesignTAXI, which in part covers advertising. In both cases, the tweets were boasting about the A8’s front-facing camera as particularly good for selfies. The Galaxy A8 is a mid-range smartphone that is equipped with several features that are part of the makeup of Samsung’s flagship Galaxy S8 series. The flub should make Apple fans chuckle. Samsung often disses Apple in its advertising, including a recent series of television commercials for the S8. Each commercial spends more airtime criticizing the iPhone X and Apple Store culture than it does bragging about what makes the Galaxy S8 special. Points to Samsung, in this case, for at least trying to accentuate the positives of its own device.